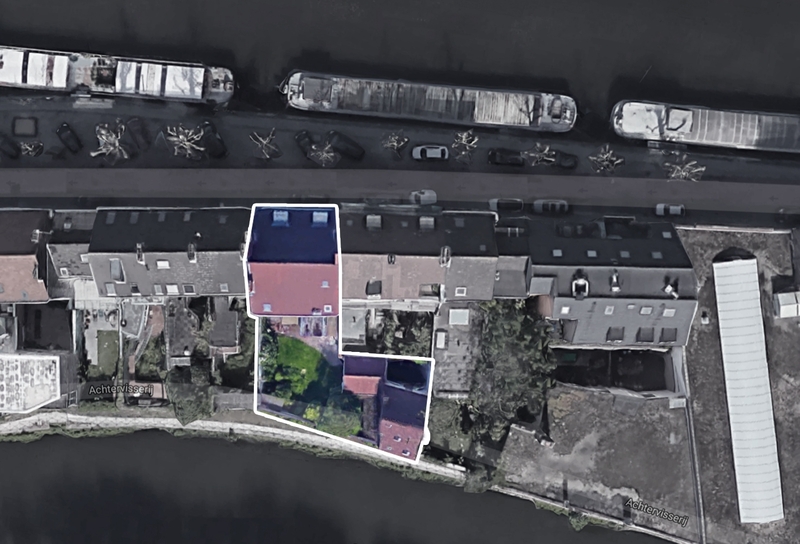 A historic manor house in the city of Ghent is ideally located on a long stretch of land between a canal and a river. The raised ground floor, with a front view on the canal, is mostly disconnected from the walled garden and river at the back of the house. The existing L-shaped hallway and some bricked-up openings indicate a former double or shifted entrance. Together with the hallway, the staircase bisects the existing floor plan and limits continuous space to half the available area. 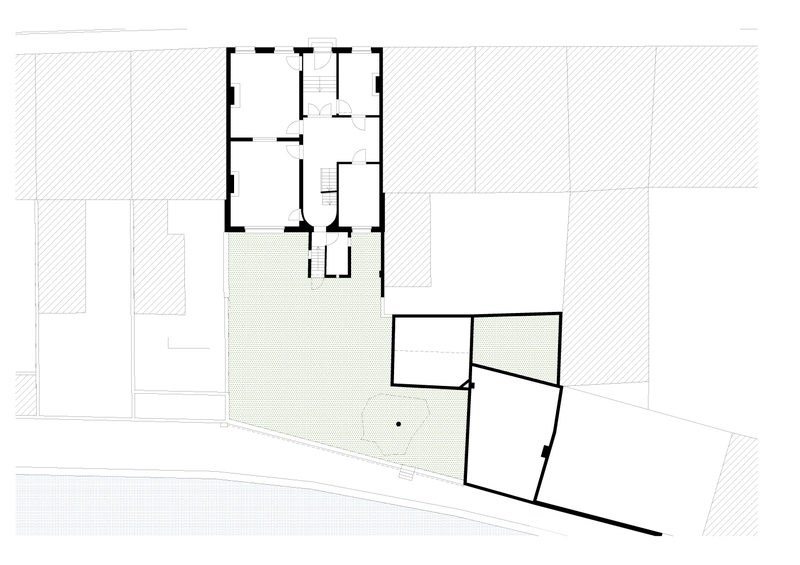 The commission demands extensive living quarters suggesting a broad enlargement across the width of the back facade, occupying much of the garden. 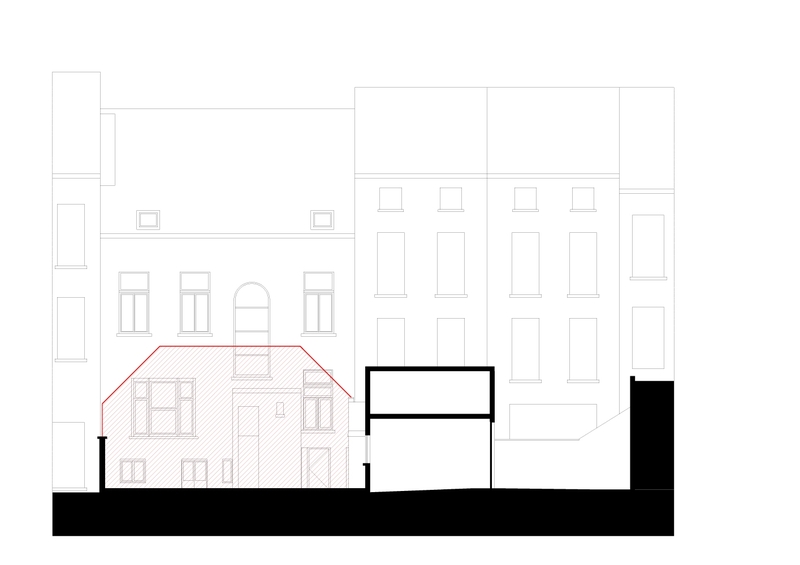 At the same time the height of such an extension is limited along property borders because of 45° planning restrictions. 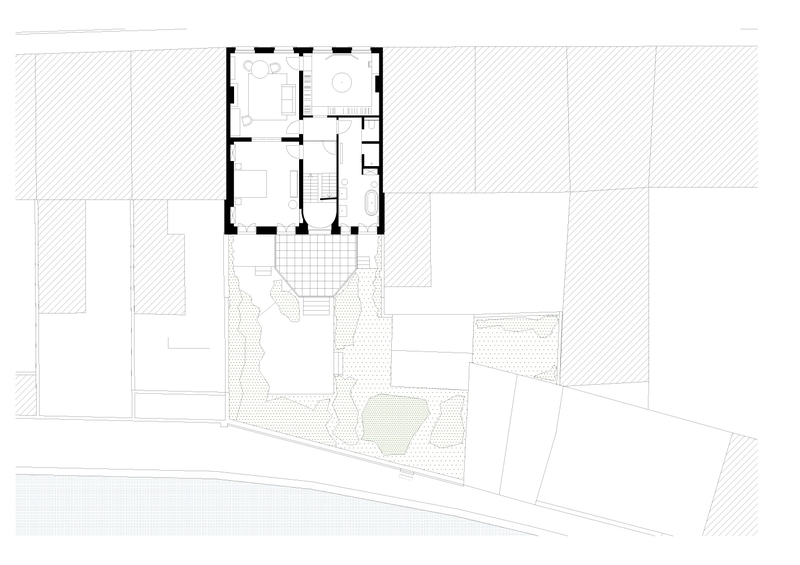 Our design avoids taking away from the garden, does maintain the height and proportions of the ground floor spaces and combines all daytime living quarters onto one single level. In the back a new master dining room acts as a balcony and overlooks the garden and the river. 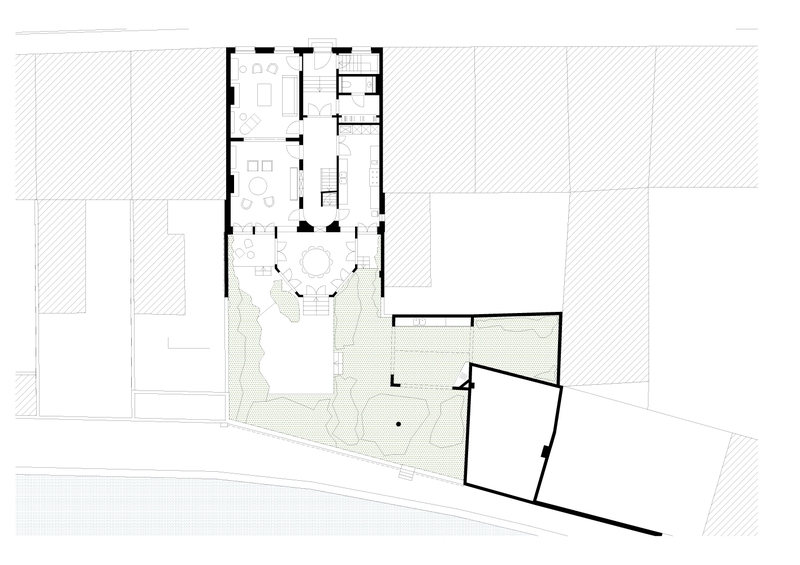 This grand garden room fills in the missing link between the two sides of the house. 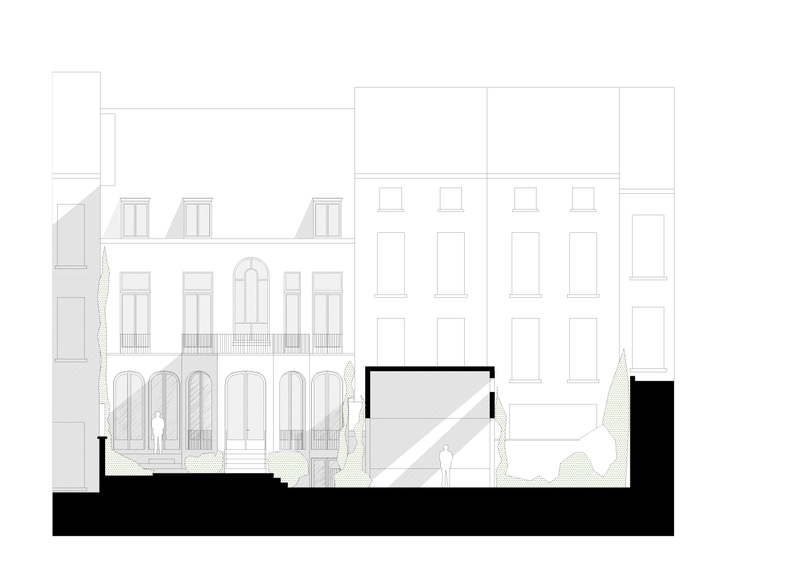 A new back facade opens the existing plan to the garden room and to a series of South East orientated terraces. In the front the kitchen area is enlarged and fills the gap in the ground floor plan. 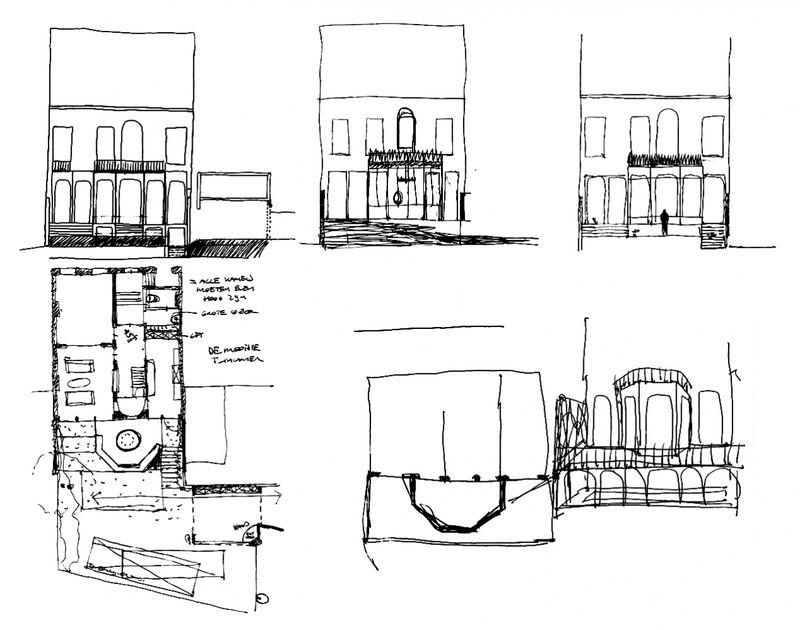 Our intervention generates a ’piano nobile’ consisting of a sequence of grand connected rooms enfolding the staircase and creating front and back views onto the water. 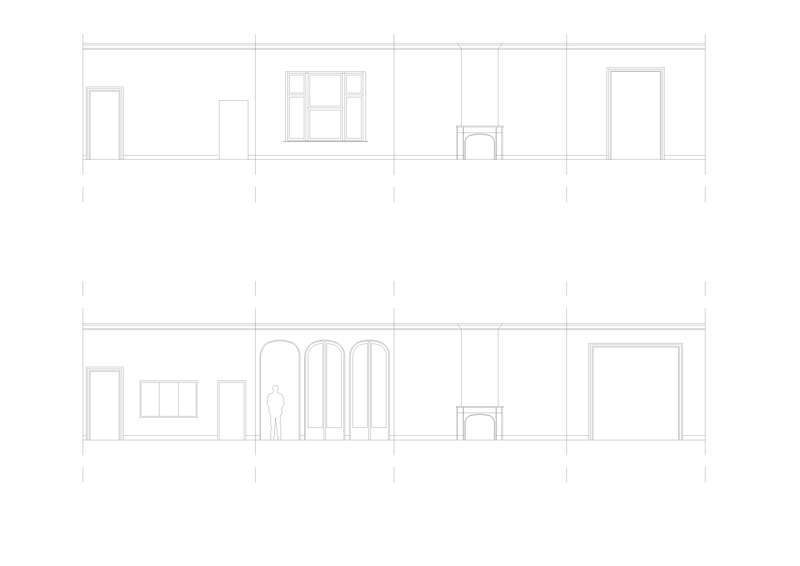 The garden room and facade are not perceived as a new extension but as an essential part of the existing house. Simultaneously our design is cost-efficient. We open up the back facade with minimal span distances spreading loads on the existing foundation. By re-using existing space we keep new volume compact and keep away from property borders.